First of all I want to thank all of you who left such thoughtful and encouraging comments these past few weeks. You truly helped me to wade through these muddy waters and I am so grateful for this supportive online community. And while I am still uncertain where Molly fits in the world …I am taking steps to finding myself again. My typical Method of Operation is to remain stoic during the crisis and then run away when it is passed. Since I must remain in town to complete my teaching duties, I have chosen to do a bit of ‘virtual’ escaping. So to that end, I thought I might share some of the pursuits that I have undertaken in order to develop a bit of fun in my life again. I hope to take a third online class, Unravelling by Susannah Conway. My sister-in-law took this class a while ago and absolutely loved it. I shall take her advice and do this for myself as well. I also plan to finally learn to let go of perfectionism – at least when it comes to doing activities that I enjoy like photography, writing, scrapbooking, and (now) quilting and (hopefully) mixed media art. I need to drop the constant comparison of my efforts to those of professionals – and give myself a break. I need to realize that it is acceptable to do these things because I want to – not because there is a looming deadline that I must meet. I have so many projects that are in various stages of completion – and many others than I have not yet begun. What am I waiting for? But the true passion of my life – what pushes me to develop these other skills – is that I will travel. And, God willing, I will travel to Paris, France this summer for a two week extended stay at this lovely apartment in the heart of Monmartre – my favorite Parisian neighborhood. I dream of walking along the Seine, capturing the emotion of the scene with photographs and writing intimate thoughts in my journal. I long to visit the Musee d’Orsay for an extended period of time – perhaps completing the research that I think I need in order to start writing the novel that I envisioned eighteen months ago. I imagine myself visiting the small grocery each morning – finding just the right baguette, small wedge of brie, and piece of fruit, and setting off in search of the perfect park in which to enjoy this simple lunch, perhaps with a glass of Bordeaux, and watch the European people saunter through their day. I may even be brave enough to try to use my rusty French once again. For two weeks I hope to escape my life, for just a short while, and in the process to discover who I have become. I want to pretend to be a writer, living in the country that inspired so many great authors, and slow down enough to enjoy the simplicity of life once again. To that end I have a book waiting for me at the library, Literary Cafes of Paris, which I plan to absorb over the next few days. I have already poured over the book, The Impressionists’ Paris and have mentally taken each of the three walking tours. I have researched Rue Mouffetard, an open air market that I have wanted to visit since I was in high school, in the book Markets of Paris, and have even discovered a few others to add to the list. I feel as though these past few weeks have been the pupal stage of my butterfly existence. I have been a cocooned puddle of goo. But I feel my wings developing and I know that over time I will indeed emerge transformed into the Molly that I am meant to be. It sounds like you're on the right track, Molly. I'll continue to pray for you and hope your trip becomes a reality. Bravo, Molly!! I'm so happy to read of your plans and excitement. It's inspiring. I've just come out of the longest reading slump that I've ever had in my life. Months really. I feel like a new woman in that regard and am devouring books like…well, like M&M;'s or Lay's potato chips – can't have just one right? I pray that your dream for Paris will come to fruition and send you lots of good thoughts and hugs! Oh how I know that goo stage!! :) But I've seen your wings and they are beautiful. I can give some advice in the quilting perfectionism area. If you can't see a mistake from the back of a galloping horse, it isn't there. There are also no quilt police (glory hallelujah!). The satisfaction of seeing a loved one wrapped in the work of your hands is something that is hard to describe. Enjoy the process! I know I do. As for the rest, I pray that you find that you were never lost, rather becoming all that you were created to be, step by step, day by day. The Molly-butterfly that emerges will be a wonder to behold! 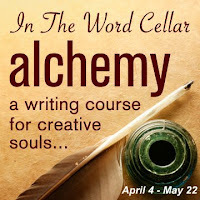 I love that you will be taking an "unravelling" course–it sounds perfect for you (just as the photography & writing). And I am completely jealous that you will be going to Paris. But so happy for you. You need to get away. You are finding your own route. Good for you!! We took it to Paris with us a few years ago and did several of the walks. They are wonderful. The books has all kinds of information on the buildings you go buy, including loads of literature related ones and many, many small museums we never would have heard of otherwise. Really, Molly, get this book. Molly – I think you are definitely doing the best you can. The online classes will help to keep you busy and take your mind off things. Paris sounds wonderful. I love it! You're already starting to bounce back. With all this behind you, a new grandchild, and spring on its way, it's as if the doors have been opened wide for growth and joy; renewal. I too hope you get to Paris this summer. I've never been. Spent two years writing a historical novel (unpublished) that took place in Paris and Haiti during the French Revolution. I steeped myself in about 200 books (no exaggeration–I'm a perfectionist, remember? And probably more than a little bit nuts) on the subject. I really do need to go there someday and experience Paris as it is now. I'm a little worried I might be disappointed, in the way that "you can't go home again," but probably not. Have a wonderful time planning your trip and then, indeed, going there! After my dad died! My mom used the butterfly metaphor to help her understand her life too. Good luck with your metamorphosis. Mrs Totoro, your vacation sounds AMAZING. I am so glad that for you! Traveling to France sounds lovely! I hope that it's all that you dream of and more! I think I am the world's biggest fan of online classes and I love the ones you found!!! I spent a good hour looking over your links and drooling over them….I would love to take a class like Alchemy in the future…if life ever settles down. Sigh. You are going to have a lovely time in Paris and I am so excited for you! Of course, we'll be expecting some fabulous pictures, stories and impressions. No pressure, lol. So good to see you making plans, Molly. The goo eventually dissolves (so says I, who is also in the muck right now, sleeping away the time). You've inspired me to at least check of some online classes. I hadn't thought of that route – like, duh? Best. Bravo! Bravo!! Go live and find out who Molly is!!! I love that you are doing this!! I'm glad you're beginning to find yourself. I hope things are looking up and you get to do whatever you're setting out for. The classes sound terrific; the Paris trip even more fantastic. It sounds like just the thing you need after all you have been through recently.